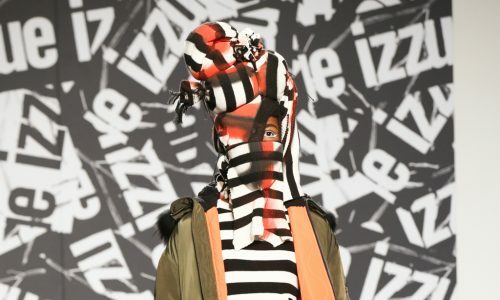 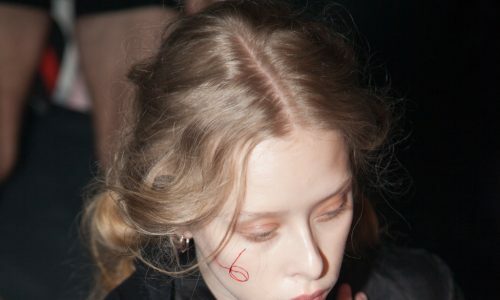 Fashion International, the multi-designer event that offers emerging and established talent a platform to showcase their latest collections, put on a dynamic and varied show featuring micro-collections by eight designers from around the world. 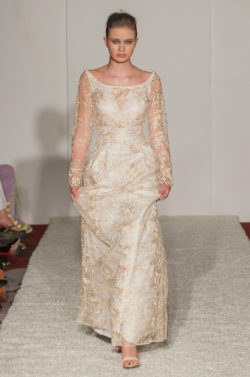 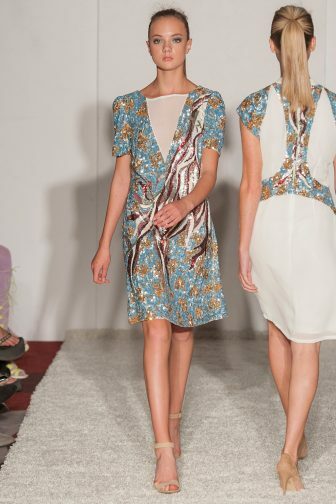 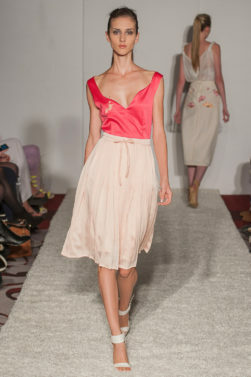 The evening began with a delicately feminine collection from Sasmitha Dellawa. 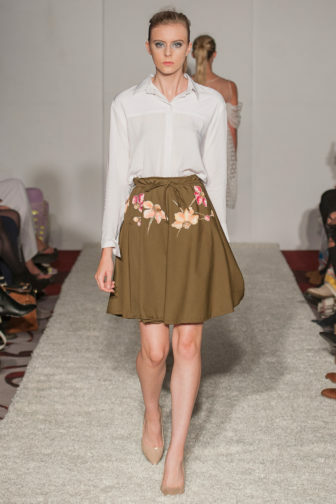 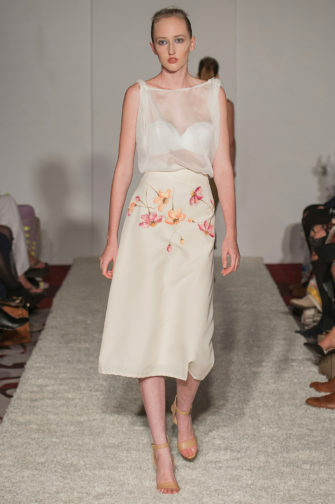 A soft colour palette and pretty florals met clean lines and tailoring to result in a range that struck the perfect balance between the modern and the vintage. 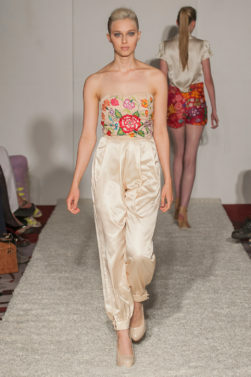 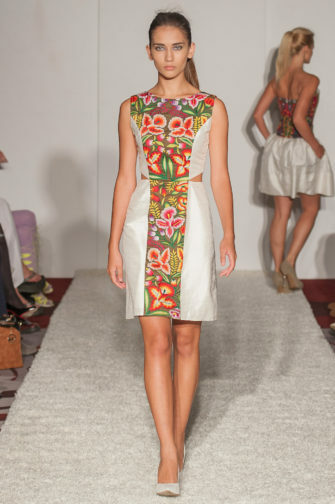 Fernanda Melo also turned to florals, but her version was very different to the delicacy of Dellawa’s. 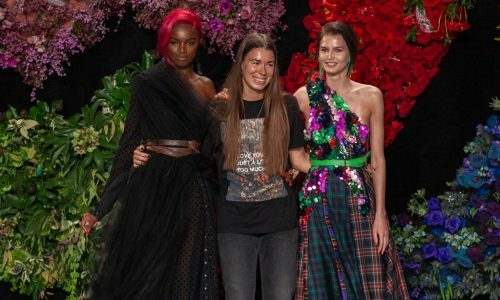 Bold and bright, Melo’s flowers came embroidered tapestry-like onto a dress or top, or else splashed across flares for a decidedly retro look. 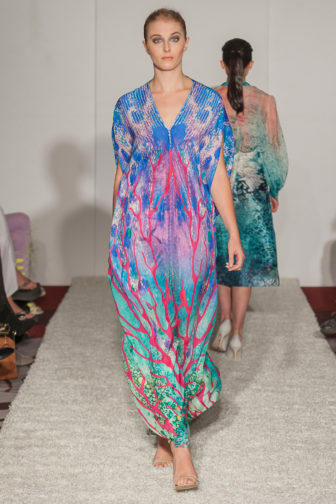 Elsewhere, there were plenty of eveningwear options to suit almost any taste; whilst Bernhard Dyne’s dresses were monochrome and woven with sparkling beaded detail, Michaela Frankova’s swum with swirling abstract patterns in rich colours. 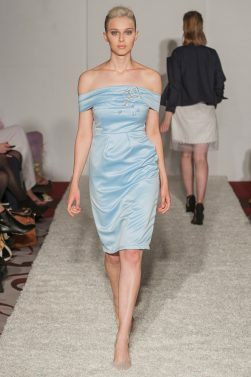 The gowns at Rai, meanwhile, were either flowy and voluminous in pink and blue, or figure-hugging and sparkling with navy and gold beading. 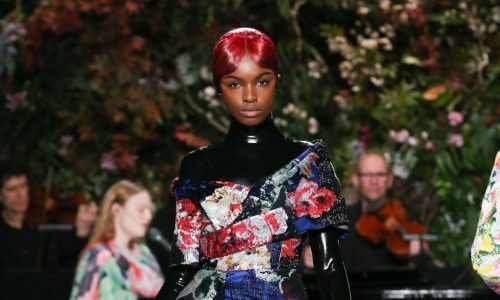 Meanwhile, architectural silhouettes and uniquely sculpted shapes were on the menu of Juan Palomino, whose black leather designs ranged from the edgy to the wonderfully outrageous. 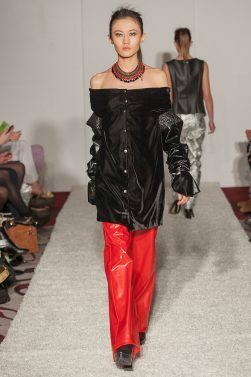 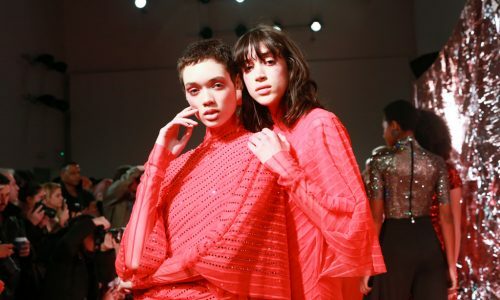 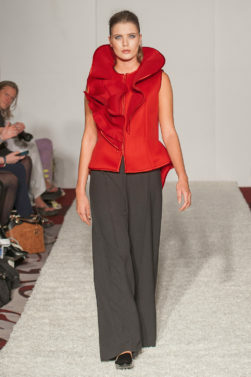 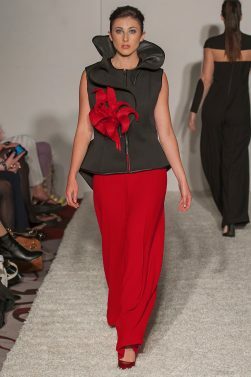 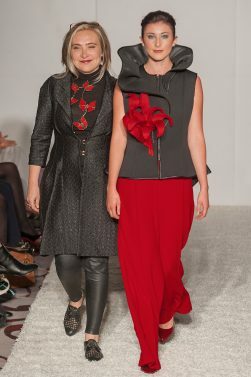 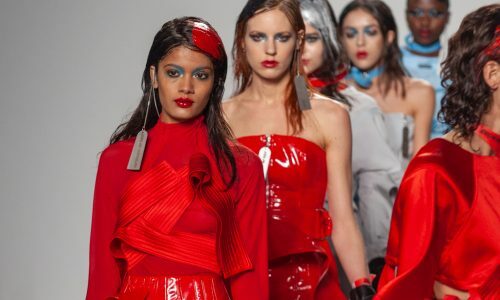 Similarly, Lenie Boya offered exaggerated ruffles alongside simple red and black dresses that used cleverly placed sheer inserts to suggest negative space, so distorting the otherwise simple lines. 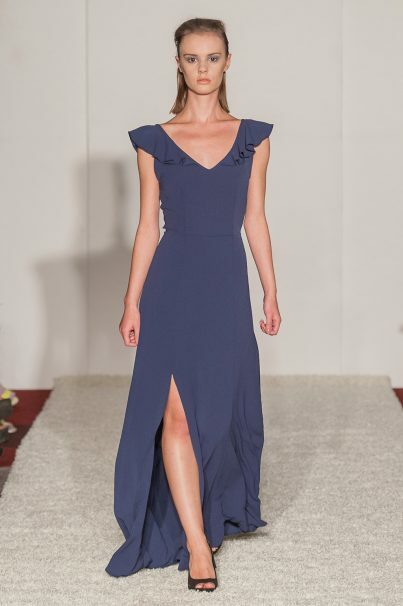 The last designer to present was Omar Mansoor, who took inspiration from ancient Persian tradition and the cultural significance of the colour blue. 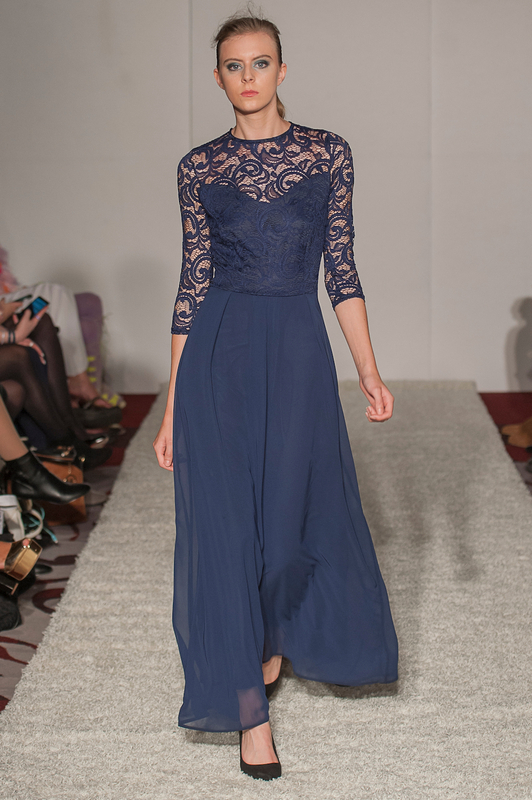 The result was a set of navy dresses in a combination of vintage lace, chiffon and crepe for an elegant finish. 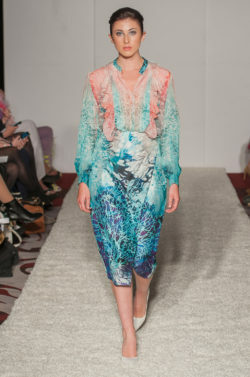 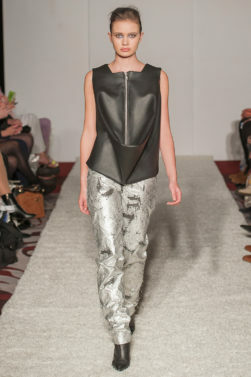 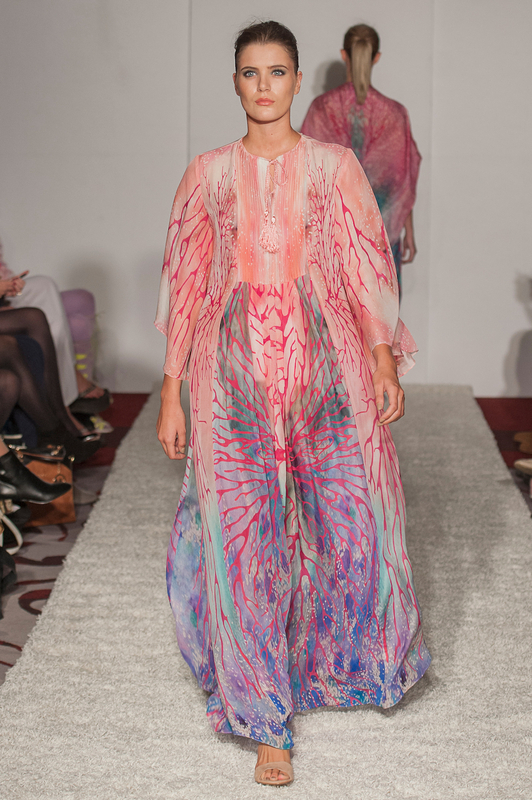 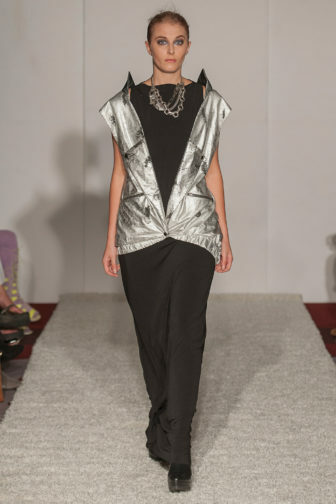 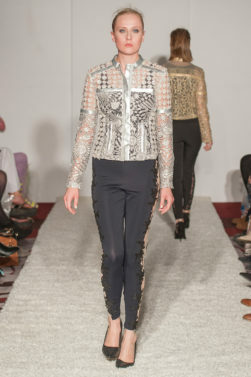 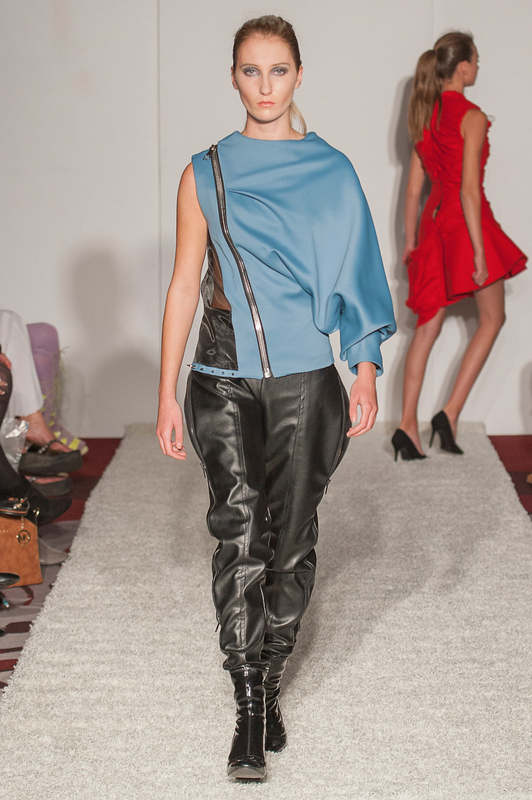 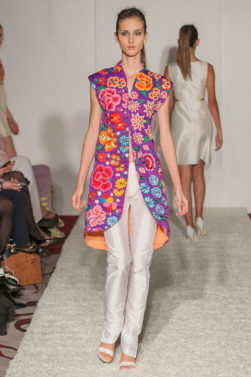 For further information about LFW International visit here.